For this week's installment of Friday Pie Day I decided to go with something a little different. I often make fruit-based pies, but those one was just calling out to be tried and I couldn't resist. 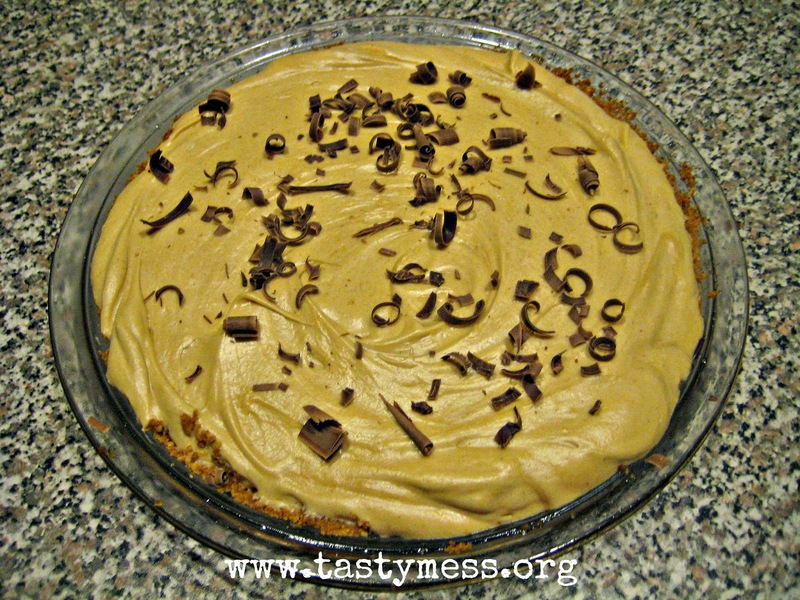 This Peanut Butter Chocolate Pie is absolutely amazing. 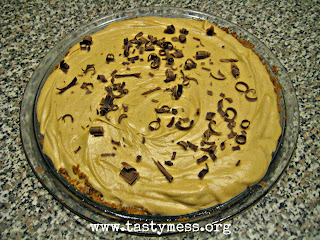 It has a layer of chocolate in between the peanutty graham cracker crust which sends it right over the top flavor-wise. I took this recipe right out of an issue of Food Network Magazine and honestly changed nothing. It was perfect just the way it was and the peanut butter filling was surprisingly light, it didn't feel overly rich like a cheesecake, but had a really delicious peanut flavor along with the dark chocolate layer on the crust. Unless you have a nut or dairy allergy, you have no excuse not to make this fabulous pie!